AMPT focuses on highly individualized patient care utilizing the most recent techniques in physical therapy. Kelley and Thomas Allardi founded Active Motion Physical Therapy in 2007. The mission of AMPT has always been to provide individualized, quality care different from the traditional outpatient Physical Therapy model. AMPT is different than other Physical Therapy practices. We are passionate about movement! All staff therapists are graduates of the Massachusetts General Hospital Institute of Health Professions. At AMPT you will always been seen by a Physical Therapist as we do not utilize Physical Therapy Assistants of Aides. This continuum of care allows for constant and ongoing assessment of the problem. This treatment flow ensures that progress is made for optimal outcomes. Thomas Allardi earned his Masters in Physical Therapy at the MGH Institute of Health Professions in 1998. His professional experience includes adult, adolescent, and pediatric rehabilitation at Children's Hospital Boston. Thomas is an active member of the American Physical Therapy Association (APTA). Thomas specializes in dynamic strengthening and return to sport. He frequently attends continuing education courses and is passionate about shoulder. An avid runner, Thomas participates in multiple road races and has run the Boston Marathon four times. He is the co-owner of Active Motion Physical Therapy with his wife, Kelley Allardi. Kelley Allardi graduated from MGH Institute of Health Professions in 1998. During her career, she has worked with adult, adolescent, and pediatric populations at Children's Hospital Boston. Kelley is certified by the Pilates Method Alliance, the only professional certification in the field. Training towards this certification includes education from Power Pilates, Balanced Body University, Balance Point Pilates and Polestar Pilates. Kelley has led continuing education workshops for Boston area Pilates studios as a rehab specialist. Completing her strong interest in movement mechanics and posture, Kelley is also certified in The Schroth Method, a three dimensional approach to treating Scoliosis. Kelley is a fitness enthusiast who enjoys Pilates, Yoga, hiking and running. Kelley co-owns Active Motion Physical Therapy with her husband, Thomas Allardi. Karen Webb earned her Master's degree in Physical Therapy from the MGH Institute of Health Professions in 1999. She then spent the majority of her career working with pediatrics, adolescents and adults at Children's Hospital Boston. She is an active member of the APTA. 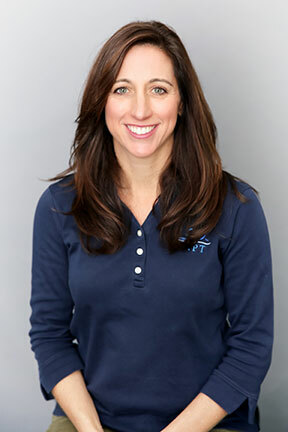 Karen is a Graston Technique provider and has a special interest in treating adolescent sport injuries and post-operative rehabilitation. Karen enjoys employing manual techniques to help achieve postural strength and endurance goals. Karen is a barre enthusiast and is also very active keeping up with her two adolescent girls. Sara Addesa, MSPT graduated with a B.S in Biology from the University of Vermont in 1998. A running injury during college led her to pursue a career in physical therapy and in 2001 she graduated with Master’s Degree in Physical Therapy from the MGH Institute. Sara spent the beginning of her career treating individuals with severe neurological and orthopedic injuries at Spaulding Hospital and Boston Medical before transitioning to outpatient orthopedics 8 years ago. Sara is a Graston Technique provider and has a special interest in treating sacroiliac dysfunction. Using her experience as a personal trainer, Sara uses strength and conditioning principles to assist patients in recovery from injury, and return to sorts. Sara is physically active herself with weight training, running and keeping up with her 3 small children. 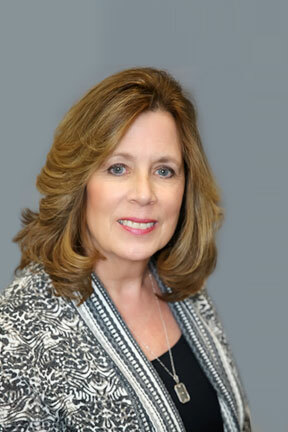 Jane has an Associates Degree in Business Administration from Morse School of Business and a Certificate in Human Resources from Bentley University. She spent many years as a Human Resources Professional in the high tech industry; worked part time in a variety of HR and Administrative roles while raising her family and most recently joined AMPT handling the front desk activities. In her free time, Jane and her family enjoy many outside activities, including hiking, snow shoeing and working out.